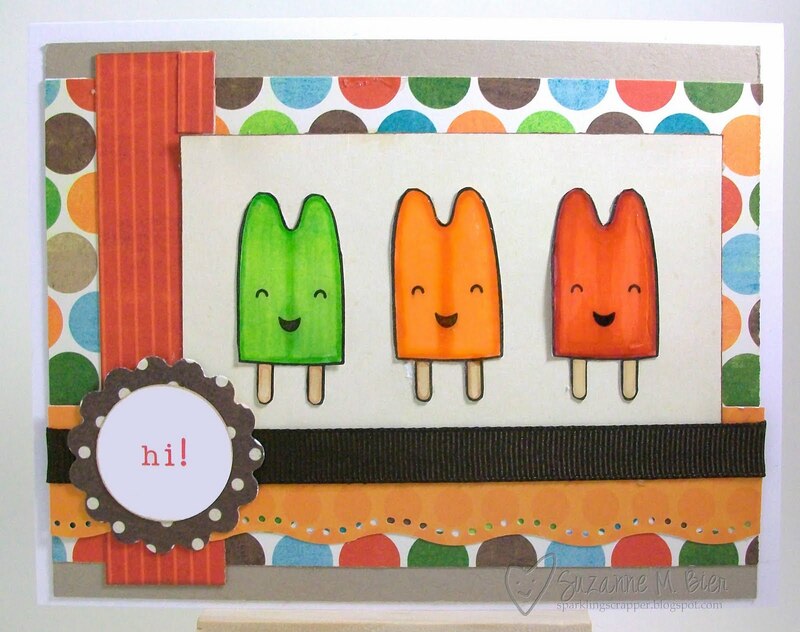 Thanks for stopping by to look at my card for Sweet Sunday Sketch Challenge #118! and here’s what I came up with! I’ve wanted to use these stamps for some time…I’m a sucker for food with faces! I colored these on Saturday night and thought they’d work great with the patterned paper and this sketch! Supplies: stamps (My Cute Stamps – Sweet Kawaii set), ink (Tsukineko Brilliance in Graphite Black), Copic markers, Ranger Glossy Accents, ribbon, EK Success border punch, paper (My Mind’s Eye Fly a Kite collection, scrap from ki Memories paper – orange,) SU! Kraft cardstock. 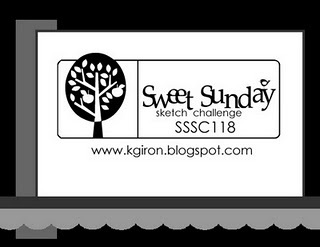 There’s still time to enter this week’s Sweet Sunday Sketch Challenge — the deadline is this Friday at 10PM Mountain Time — so get all the details (including links to what their DT created for this challenge) on the sweetest thing blog!